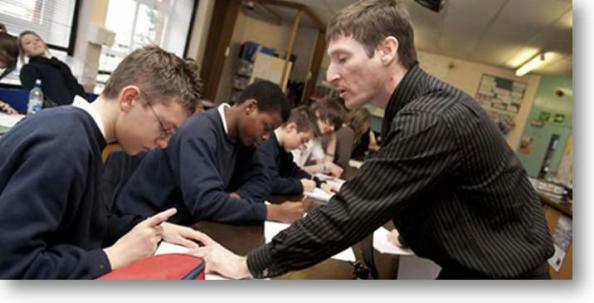 An interesting new report has been published by the Centre for Excellence and Outcomes in Children and Young People’s Services (C4EO) with the full title “Effective classroom strategies for closing the gap in educational achievement for children and young people living in poverty, including white working-class boys“. Many of us in East Lothian now have access to Google Apps through eduBuzz. This is such a powerful tool and people are thinking of more and more uses for it in education all the time. Tom Barrett is harnessing the power of the crowd and the cloud to put together lots of examples of how Google Forms are being used in classrooms. This is changing all the time as people add to it, but at the time of posting this was up to 57! Tom’s got lots more of these in his blog, click here to view them. The Tranent teachers came together on Monday 25th October and held a CfE Assessment In-service as a cluster. The morning began with a workshop activity on Building the Curriculum 5 and AifL, facilitated by myself. You can see the powerpoint I used below. After a coffee break, the teachers then had the opportunity to hear from David Cameron. David was as engaging and inspiring as always and really cut to the heart of what teachers and schools needed to do in order to implement Curriculum for Excellence. A huge thank you to all involved in the morning! There’s an interesting piece on the BBC News website today. AifL, Outdoor Learning, Engaging Learners…sounds familiar! 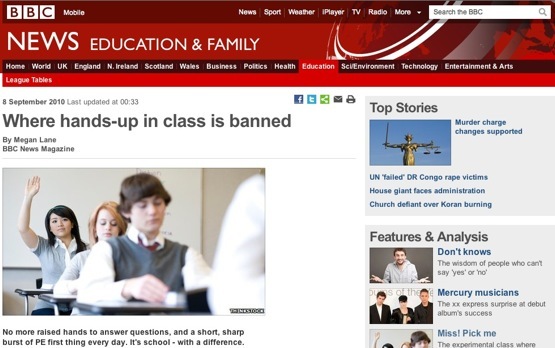 And keep a look out for Dylan Wiliam’s Classroom Experiment as part of the BBC’s School Season.